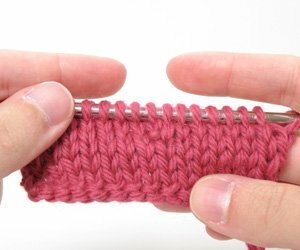 You may also know this technique as knit 1, front and back. It is referred to as the Bar Increase because of the small, horizontal bit of yarn that it leaves on the right side of the fabric. 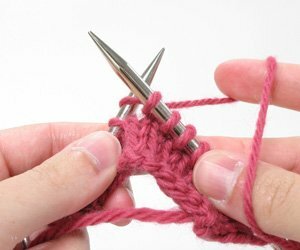 Insert your needle into the stitch knitwise and complete a knit stitch but do NOT slip the completed stitch off of the left needle. 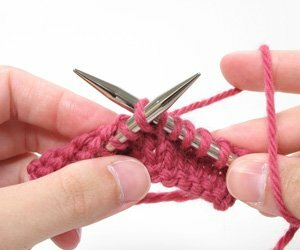 Next, insert your right needle into the back loop of the same stitch which you just knitted. 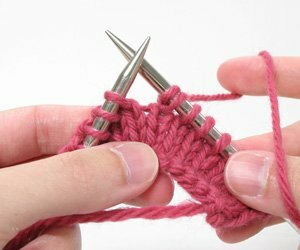 Complete another knit stitch and this time slip it off of the left needle. Continue knitting as instructed. A few rows later you will see the result of your increase. This entry was posted in Increase, View All by Knit Picks Tutorials. Bookmark the permalink.